NOTE: These Cash Shop sales will be available following the game maintenance on December 12. Left to Right: Regal Romance Hat (M), Regal Romance Outfit (M), Regal Romance Cape, Regal Romance Eyes (M); Regal Romance Outfit (F), Regal Romance Parasol, Regal Romance Shoes, Regal Romance Hat (F), Regal Romance Eyes (F); Soft Snow Hat, Snow Blossom Coat (F), Soft Snow Slippers, First Snow, Small Formosan Deer Weapon; Snow Blossom Coat (M), Winterberry Snowman Hat, Snowman's Red Scarf Label Ring, Snowman's Red Scarf Chat Ring. Left to Right: Soft Snow, Snowflake Ski Hat (M), Winter Fantasy Cape, Sapphire Snow; Forest Reindeer Hat, Reindeer Red Nose, Christmas Chat Ring, Christmas Label Ring, Christmas Tree Ornament Cape; Snowflake Ski Hat (F), White Christmas Ring, Spring Green Finery (F); Christmas Antlers, Lumpy Snowflakes, Christmas Bunny Outfit (M). Left to Right: Christmas Bell, Snow Bloom, Falling Darkness Outfit (F); Christmas Light Hairband, Catkerchief Doll Outfit; Christmas Bunny Hat, Christmas Bunny Outfit (F), Christmas Bunny Cape, Christmas Bunny Weapon; Christmas Hairpin, Snowy Mountain Outfit. Check out the Male Hairstyles available now: Straight-edge Bangs Hair (NEW! ), Flowing Hair (NEW! ), Argent Hair, Alpha Hair, Spiky Bangs, Wild Wolf Hair, Parted Cut Hair, Kai Hair, and Frosty Hair. Check out the Female Hairstyles available now: Prim Feathered Bob Hair (NEW! ), Royal Twin Tails Hair, Fairy Queen Titania Hair, Princess Roll Hair, Tangy Top Hair, Muse Hair, Roly Poly Hair, Luxurious Locks, and Vivacious Wavy Hair. Check out the Male Face Styles available now: Misty-Eyed Face (NEW! ), Calm Odd Eye, Dewy-Eyed Face, Sesame Face, Onmyouji, Starry Night Face, Sweet Face, Beautiful Face, and Jay Face. Check out the Female Face Styles available now: Misty-Eyed Face (NEW! ), Calm Odd Eye, Aria Face, Sesame Face, Olivia Face, Starry Night Face, Puppy-Eyed Face, Round Eyed Face, and Yuna Face. You can see all the reward rates for Christmas Royal Style Coupons here. This Christmas, take home a magical Glodeer pet! Select from Rose, Mint, and Iris, and make your holidays really shine. The individual pet package comes with an equip to wear, yummy pet food to eat, a Pet Name Tag, and some useful pet skills and scrolls. This Christmas, take home a magical Glodeer pet to join you on your adventures in Reboot world! Select from Rose, Mint, and Iris, and make your holidays really shine. 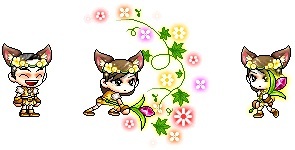 Give your new Glodeer pet a little shine with this permanent Deer Petal pet equip! Celebrate the holiday season with a friend! When you and your other half each wear a ring, a holiday effect appears! The second ring will be sent to a character of your choice. The Mistletoe Promise Ring can only be given to a character of the opposite gender. Look just like Cadena with these permanent outfit packages, available as male and female versions! Check out the Female Hairstyles available now: Roan Hair (NEW! ), Miro Hair (NEW! ), Immaculate Hair, Statement Hair, Whipped Hair, Goth Idol Hair. Check out the Female Face Styles available now: Little Star Cocoon Face (NEW! ), Melody Face (NEW! ), Dark Circle Face, Elf Queen Face, Constant Surprise Face, Boing Face. Relax in a beautiful new chair like the Shoot for the Stars Chair, The Boy of My Dreams, The Claw Machine Chair, and The Girl of My Dreams Chair! Kick back in the Android Companion Chair, the Kinesis Cube Chair, the Together with Kinesis Cube Chair, and the Monster Gachapon Chair! Spend time enjoying the Rainy Fox Chair, the Maple World Chair, the Fun Cloud Chair, and the Mushroom Chair! 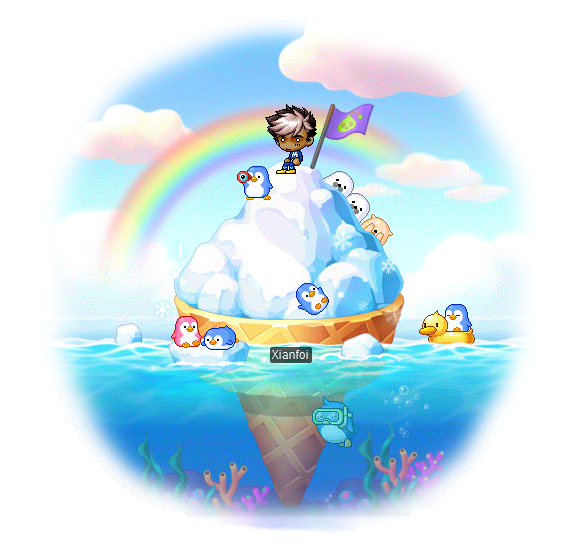 Show off your style with the Maple TV Chair, the Loyal Royal Yeti Chair, the Sleepy Bird Chair, and Black Bean Chair! Have some silly fun with the Comic Book Lounger, the Peek-a-boo Drawer, the Diabolical Chair, and the Fiery Essence Chair! 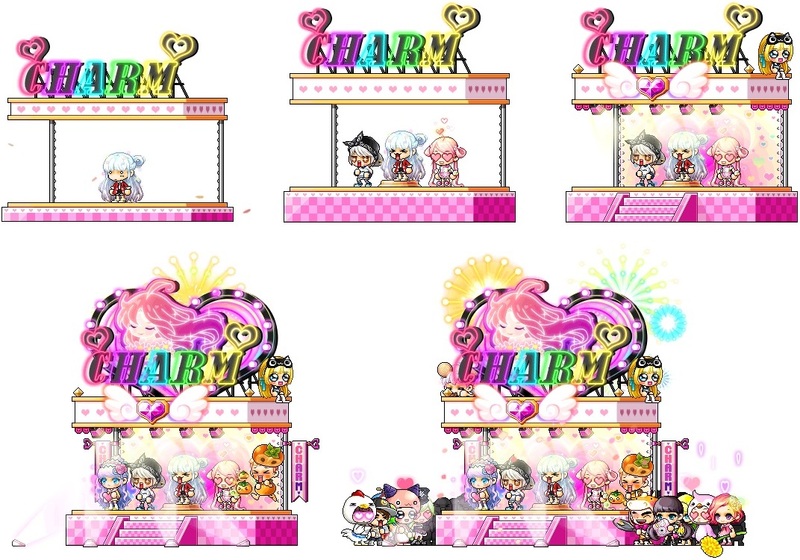 You can see the all the rewards rates for Chair Gachapon Tickets here. Open the Surprise Pet Box (available exclusively in Reboot world) to obtain one random pet! It contains both 90-day and permanent pets. Take home a permanent Furry Elwin, Fluffy Lily, Baby Nero, Kangaroo, Skunk, Hedgehog, Salem Cat, Binx Cat, or Kit Cat! You can see the all the rewards rates for Surprise Pet Boxes here. Light up the night sky with the Little Star Cocoon Equipment Bundle! Includes a Weapon Skin with special attack animations. Equip the whole set at once to gain a friendly little cloud buddy! The Great Gachapierrot has added lots of new items! Pick up huge new chairs including the Friendship Forever Chair, the Mushroom Land Hammock, and the Snoozing Kitty Chair! Chart your charm through your chair with Maple Congeniality. As your charm levels up to 25%, 50%, 75%, and 100%, the chair becomes fancier! Enjoy the Friend Story Photo Chair, the Ark Concept Chair, and the Commander's Chair! Take a ride with new mounts including the Rallying Knights Mount, the Teatime Bunny Mount, and the Paca Paca Mount! These mounts are all available as permanent versions. Get ready to ride with the Cygnus Airship Mount, the Claudine Airship Mount, the Athena Airship Mount, the Athena Pierce's Support Mount, the Superhero Mount, the Double Shinsoo Mount, and the Onyx Jaguar Mount. These mounts are all available as permanent versions. Bring a new familiar along on your journeys, including Hard Hilla and Giant Blackheart! Pick up an old familiar or two, including Pipsqueak Hilla, Pipsqueak Magnus, Pipsqueak Orchid, Pipsqueak Von Leon, Pipsqueak Arkarium, and Pipsqueak Cygnus! 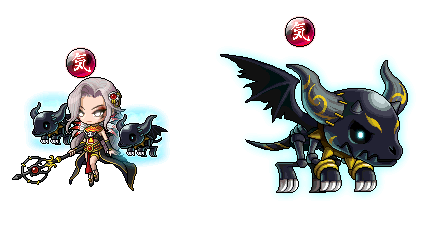 New mounts have also come to Andersen's Box! Get the Rallying Knights Mount, the Teatime Bunny Mount, the Paca Paca Mount, the Cygnus Airship Mount, the Claudine Airship Mount, the Athena Airship Mount, the Athena Pierce's Support Mount, the Superhero Mount, the Double Shinsoo Mount, and the Onyx Jaguar Mount! These mounts are all available as 90-day versions. Click here to read more about Andersen's Box! You can see the all the rewards rates for Andersen's Box here. V.201 – Black Mage: Labyrinth is live as of December 12. Click here to read the patch notes! The holidays have come to Maple World! Check out the seasonal events we have in store this month!